Veteran journalist and Public Relations practitioner Muhereza Kyamutetera has described DFCU’s notice of intention to sue Rajiv Ruparelia and some journalists as a move to gag the media and blackmailing reporters to deter them from writing facts. 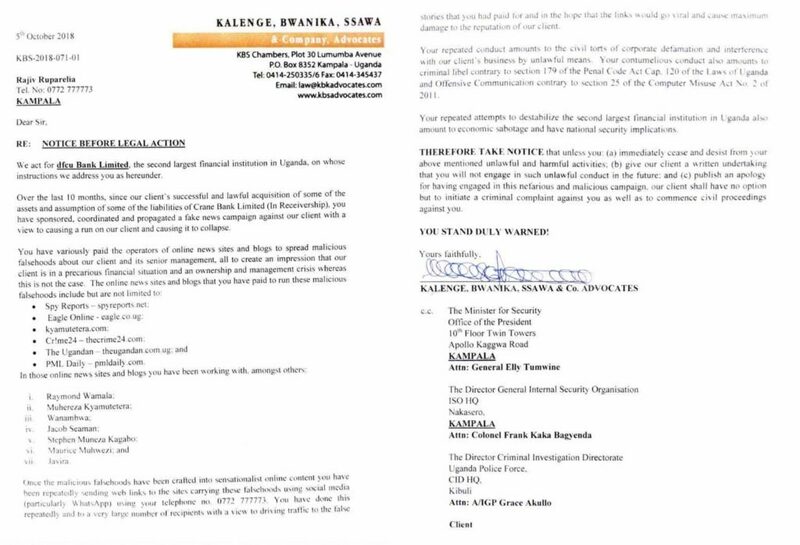 The said letter was written by Kalenge, Bwanika, Ssawa and Company Advocates who represent DFCU bank. It then surfaced on social media on Friday evening. They further named the journalists who they claimed were paid off by Rajiv and among them was Kyamutetera who has been a business reporter for over a decade. 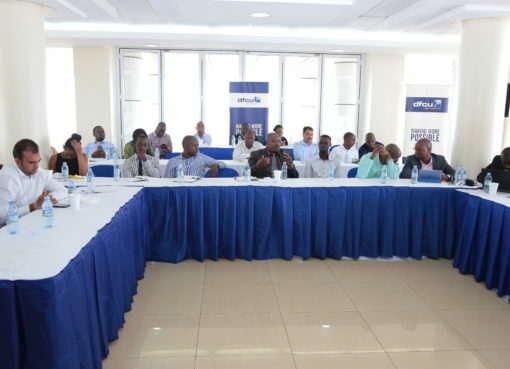 The other journalists included Raymond Wamala, Jacob Seaman, Wanambwa, Stephen Muneeza, Maurice Muhwezi and Javira all of whom were directed to desist from publishing the said stories about the bank and issue a public apology. But in his response to the letter, Kyamutetera described DFCU’s letter as blackmail and empty threats. “Your board chairperson, Managing Director, Executive Director, your spokesperson and your PR agency; all have my phone number and email. They could have reached out to me, instead of trying to black mail me with these empty threats,” he wrote on his personal blog. 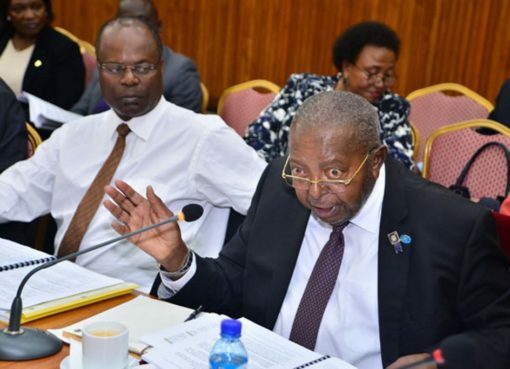 He further added that the threats were aimed at gagging the media, calling on DFCU to come out and explain the circumstances instead of resorting to blackmail. 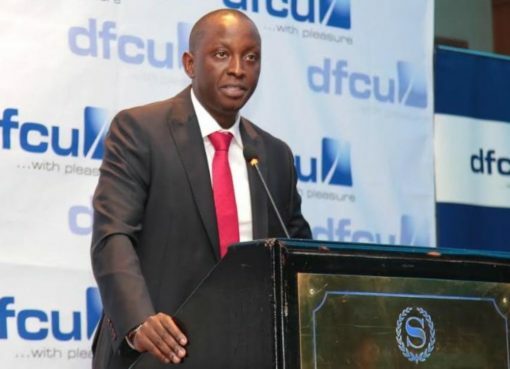 Over the past months, DFCU has been under tension, with reports about its liquidity crisis, the resignation of board members and senior management staffers, withdrawal of shares by shareholders among a number of other upheavals the bank faces. 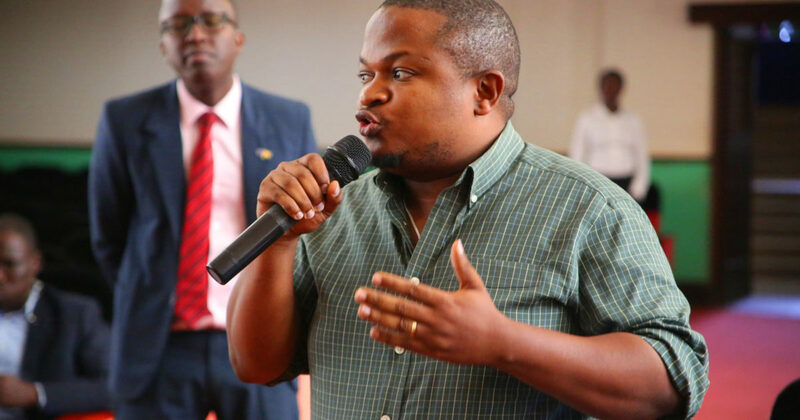 Kyamuterera argued that DFCU needed to explain and clarify these to the journalists instead of sending them what he called “empty threats” of intention to sue.